Find My Workspace lists over 95% of the executive office suites market in Dallas. Simply click Request Quote to check pricing for one office, or Add to Basket for multiple offices. This space is a quiet, professional office environment with beautifully landscaped scenery. This building provides quality, affordable office space with great views of Dallas from each suite. Tenants will enjoy well-appointed Marquee signage with Coit Road exposure, elevator service, and garage parking. This center is across one floor that will include open coworking space, private offices, event space, and conference rooms. Coworking Space, Dedicated Desks, and office Suites that can be tailored to specific needs of any client. Office Suites available to accommodate 1-5 people. The open concept kitchen has a Large island, perfect for hosting networking events and displaying any work or material used for everyone. Plenty of space for each member to move around during breaks, multiple tables to relax at while enjoying your lunch. High speed WiFi available to members and their guests throughout the facility. The free Parking on all sides of the building makes it easy for all members to have quick access to and from the building. Both sides if the building are handicap accessible. An 11 story office building, part of an 11 building professional campus setting. Located near a spring-fed lake surrounded by multiple seating areas, beautiful landscaping and a walking trail. The property features a 4:1,000 tenant parking allotment with optional covered parking available. Heavily landscaped professional campus setting with fiber service to the building, a health club on campus, available security, on-site leasing, management and maintenance. Several building conference rooms are available on the campus at no charge to tenants. 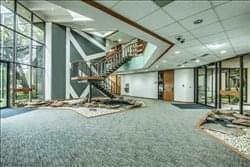 This center is a professional office environment with a recently upgraded lobby. This building provides quality, affordable office with great views of Dallas from each suite. Tenants will also enjoy access to on-site property management, leasing, elevator service, on-site security and garage parking. Whether your business needs just a daily office or you have a 15 to 50 person operation in need of office suites, this space has you covered. The large amenity space gives business owners the perks of a large corporate campus for the cost of a single office, whether renting a single private office or office suites configured for 15 to 50 people. Private offices are fully furnished, including powerful direct fiber internet service that drives WiFi throughout the site keeping your critical data coming and going. The office suites have modern designs and access to communal lounge areas, many suites include kitchenettes and conference rooms, and all feature access to meeting rooms, amenity space, and business services. This newly remodeled center offers businesses of all sizes private offices, with views of the Bent Tree Golf Course, collaborative coworking space, professional meeting rooms, and so much more. Work at ease with 24-hour access, on-site support, unlimited coffee, beer on tap, and monthly community member events. Whether you run a small business or major corporation, this Dallas location provides a diverse environment for your company to succeed and grow. Dallas, Texas - Elmbrook Dr. This building is located just minutes from Stemmons Freeway, hotels, restaurants and both Love Field and DFW Airports. Originally built in the early 1970’s, this three-story brick building features a large skylight over a peaceful atrium, complete with fountains and lush landscaping. Tenants enjoy access to on-site leasing, management and maintenance teams, a tenant conference room, 24-hour key card access, and ample surface parking. This center is an exclusive two-story office complex that provides a spacious and professional business atmosphere for you and your guests. Enjoy the luscious garden atriums, ample tenant parking, and the convenience of easy access to I-635 and the North Central Expressway. Forest Abrams Place is also within minutes of the Galleria, Platinum Corridor, and Downtown business communities. This garden complex is surrounded by plenty of greenery with a calming courtyard, and several picnic tables add to the serene nature of the complex. Garland, and Galleria area. This building has a garden complex with plenty of parking, including covered parking available. This center is an enchanting two-story office building that brilliantly captures elements of style, comfort and functionality to create an ideal business atmosphere for you and your guests. The luscious garden scenery and soothing creek at this space provides a quiet haven from the daily hustle and bustle, while its convenient location to I-635 and North Central Expressway keep tenants connected to the nearby Galleria and Downtown business communities. Balcony suites provide a nice view of the property’s beautiful pond and fountain area. This center is a coworking space that provides you with all the benefits of having an office, but at a fraction of the cost with plenty of flexibility. Maybe you’re a freelancer tired of hunting down coffee shops for reliable Wi-Fi, maybe you’re a new entrepreneur on a tight budget growing your business and team, or maybe you travel for work and just need somewhere to work out of the day you’re in town. This center is the answer to all of your business needs. The center is open 24-hours a day and the on-site management team to help you find what is best for you and your team. Stop in today and check it out. This center offers Class A accommodations located in North Dallas adjacent to the “High Five” interstate exchange. These properties include 6 conference rooms and an auditorium with stadium-style seating, plus renovated lobbies, loading dock, fitness center and a full-service restaurant. 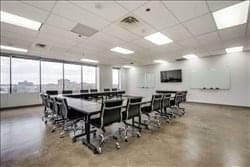 Each floor layout consists of multiple offices, ADA restrooms, fiber optic connectivity and great views of North Dallas. Conveniently located within 10 minutes to Northpark Mall, Park Lane, the Galleria and 15 minutes to downtown Dallas with easy access to Central Expressway (U.S. 75), Interstate 635 and multiple restaurants and hotels. A professional office environment with recently upgraded lobby to provide a Class A atmosphere. 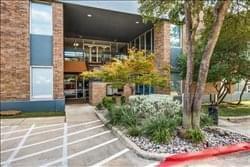 This building provides quality, affordable office space with great views of Dallas and Farmers Branch from each suite. Tenants will also enjoy access to on-site property management, leasing, elevator service, on-site deli/catering, and free garage parking. 3 mid-rise office buildings located near a spring-fed lake surrounded by multiple seating areas, beautiful landscaping and a walking trail. The property features a 4:1,000 tenant parking allotment. Heavily landscaped professional campus setting with fiber service to the building, a health club on campus, available security, on-site leasing, management and maintenance. Several building conference rooms are available at no charge to tenants. 3 mid-rise office buildings located near a spring-fed lake surrounded by multiple seating areas, beautiful landscaping and a walking trail. The property features a 4:1,000 tenant parking allotment. Heavily landscaped professional campus setting with fiber service to the building, a health club on campus, available security, on-site leasing, management and maintenance. Several building conference rooms are available at no charge to tenants. A Luby’ s Cafeteria is located at the property for convenience along with many other eateries within minutes of the campus. 15 minutes from DFW Airport or Love Field, and the DART bus service runs throughout the campus. Heavily landscaped professional campus setting with fiber service to the building, a health club on campus, available security, on-site leasing, management, and maintenance. Several building conference rooms are available at no charge to tenants. A Luby’ s Cafeteria is located at the property for convenience along with many other eateries within minutes of the campus. 15 minutes from DFW Airport or Love Field, and the DART bus service runs throughout the campus. This creative and highly collaborative work space offers a large range of fully furnished and technologically equipped work stations including specialist spaces such as private offices as well as shared offices and co-working areas. The building features high ceilings with exposed brickwork, making it a unique space. The center has several private meeting rooms available for your use as you need as well as lounge areas, great for relaxed work and casual meetings. The relaxed vibe of the space and layout of sofas and work benches is ideal for innovative work as well as networking with other professionals. Dallas, Texas - N Stemmons Fwy. 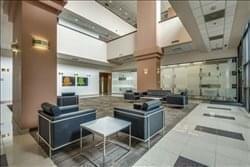 This is is a professional office environment with an upgraded lobby, polished granite floors and a Class A atmosphere. This building provides quality, affordable office space with access to Central Expressway. Tenants will also enjoy access to on-site property management, leasing, security & security patrol as well as ample surface and garage parking. Conveniently located with easy access to I-635, minutes from Northpark Mall, the DART Mockingbird Station, 10 minutes to downtown Dallas and nearby upscale residential, retail and hotels. This new location, opening at the beginning of 2019, will change the way that you currently view “office space”. This site is located on Ross Avenue in the Arts District micromarket of Dallas’s Central Business District. The surrounding bright offices encourages people to get up and move around, resulting in increased productivity throughout the day. This space incorporates a mix of lounges and kitchens to help utilize all of your work space. Amenities include unparalleled service from the management team, workrooms anywhere from 1 – 40 people are available. The spaces come fully furnished with sit-stand desks. Dallas, Texas - Preston Rd. This center lies within Dallas Midtown, a proposed Urban Destination of North Dallas and is within blocks of Galleria Dallas, which boasts an unequaled shopping environment including a unique collection of boutiques, restaurants and experiences. 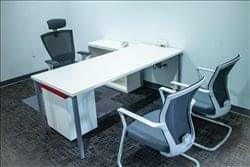 It provides a professional Class A office environment and offers recently renovated lobbies, common areas and amenities. The building provides quality, affordable office space, allowing tenants access to: on-site property management, leasing, security, security patrol, ample surface and reserved garage parking. This center is a professional Class A office environment. The building offers lobby upgrades of polished marble and granite, along with high-end office suite finishes; including hardwood floors, marble tile, glass conference rooms and herculite entry doors. It offers its tenants covered, garage parking and on-site full-time maintenance & cleaning staff. Conveniently located within the North Dallas Quorum Business Park, within yards of the North Dallas Tollway and provides easy access I-635. Area amenities include hotels, restaurants, retail, short & long term accommodations. Located at the heart of downtown Dallas, immediate adjacent to public transportation, tons of parking options nearby, and postal office right across the street. Offering flexible lease term and varies lease type, vibrant and creative design, amenity and full business service. Availability from virtual to private offices, no matter if you are a startup or a nationwide company, you can always find a perfect spot here for you. Not only does it provide you the space for work, it also helps you connect with like-minded people and experience mentoring. 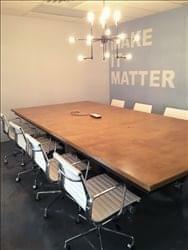 You will also have access to conference room, meeting space, audio/video studio, and a full kitchen! These two beautiful, open buildings were built in a serene atmosphere complete with water garden and lush plants. Flowing brooks intertwine between the two buildings adding a comfortable, stress-free environment to your workday. These full service plus electricity buildings have after hour’s security access, on-site management and maintenance. Each building is equipped with high-speed Internet access to meet tenant’s requirements and mail is delivered directly to tenants’ suites each day. There are overnight drop boxes and vending machines located in the buildings for use by tenants. Each building is equipped with high-speed Internet access to meet tenant’s requirements and mail is delivered directly to tenants’ suites each day. There are overnight drop boxes and vending machines located in the buildings for use by tenants. Originally built in 1975 these renovated 2-story buildings offer suites in all sizes and available for immediate occupancy and each has been freshly painted and given new carpet. To obtain information for your selected Farmers Branch Executive Office Suites, please tick the "Add to basket" box for each office you prefer and complete the form below. We will then send a detailed report via email.